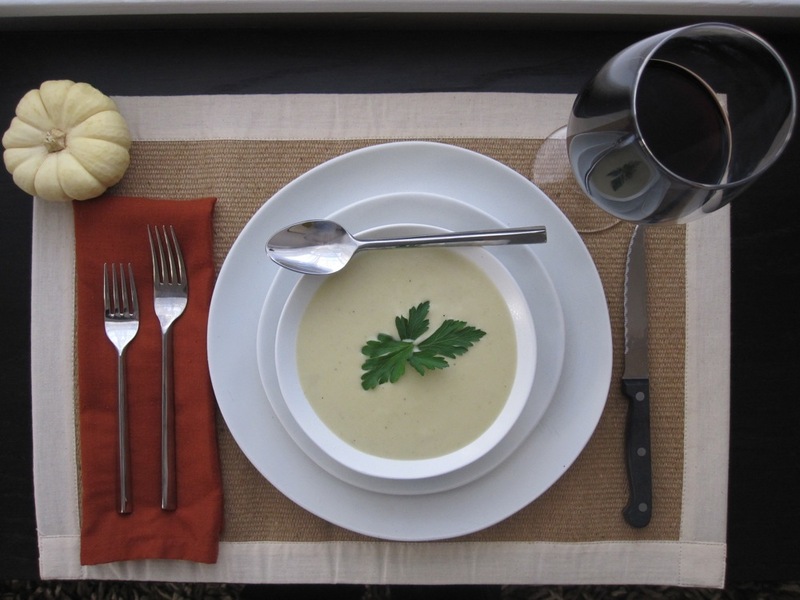 some of you have been asking for suggestions for your thanksgiving dinner menus, + serving a soup as a first course is one of my favorite ways to change up a holiday dinner. this soup is easy + quick to make, + the flavors are lovely. for those of you who have never tried parsnip, it’s a root vegetable – basically a sweet, slightly nutty, white cousin to the carrot. my favorite way to serve parsnips is either oven-roasted with other root veggies, olive oil + rosemary, or in soups + risottos. if you or your family have never tried parsnips, this is a great way to try them for the first time. the soup is mildly + subtly flavored, + it is just the right combination of sweet + creamy. if you’re looking for a fabulous first course for your thanksgiving dinner or a holiday party, this soup will not disappoint! in a heavy pot, cook potato, parsnips, shallots, leek + parsley in butter over moderate heat, stirring, until leek is softened, about 12 minutes. add broth + simmer, covered, 20 minutes, or until vegetables are very soft. in a blender purée mixture in batches + transfer to a large saucepan. stir in cider or juice, cream, + salt / pepper to taste. cook over moderately high heat, stirring occasionally, until heated through. We love parsnips! Any root vegetable, actually, are some of our favorites. 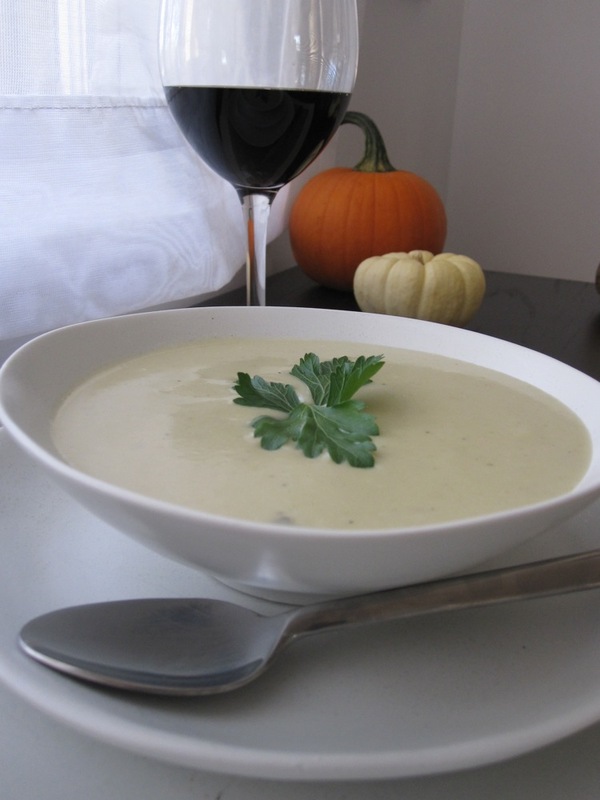 I have made a similar soup, but the apple juice/cider you add is a new twist, & I must try it! 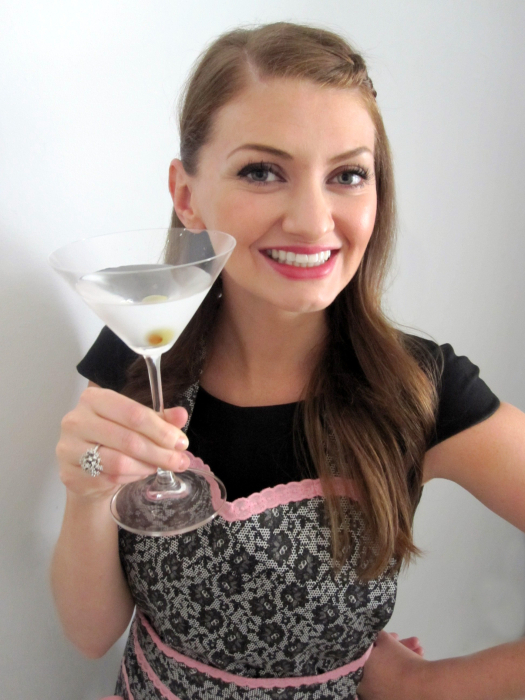 Have you seen Atticus’s new Fuss-Free Foodie Friday posts? Always healthy, easy & vegetarian (well, sometimes fish too). Thanks for this recipe—definitely going to try it! i’ve gotten behind on my google reader but will definitely keep an eye out for atticus’ foodie fridays! by the way, my favorite parsnip recipe is a parsnip + rosemary risotto. it is insanely delicious, especially with a little extra added parmesan. let me know if you want the recipe!